Russia. Moscow region. 10 November 2015. 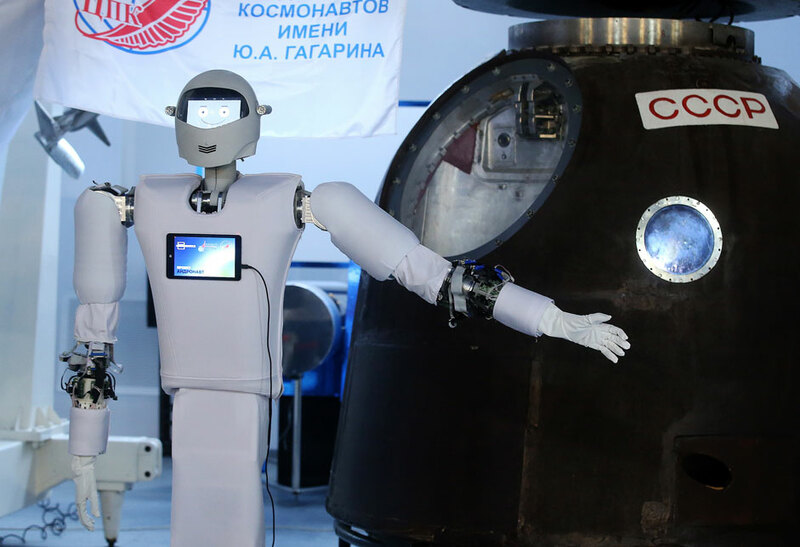 The robot "Astronaut", which will be sent to the ISS as an assistant after a number of additional studies that will generate new knowledge in the field of interaction between the robot and the human. "Andronavt" belongs to the latter category of robotic systems, which can be remotely at great distances and to manage the operator using the exoskeleton. A ceremony to unveil Andronaut, a humanoid robot for space missions that will be sent to the ISS as an astronaut assistant after a series of additional tests. A man wearing an exoskeleton can remotely control Andronaut at large distances.